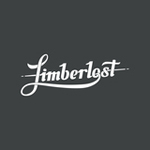 From Hood River, face off against a stiff climb as you charge up into Mount Hood National Forest. 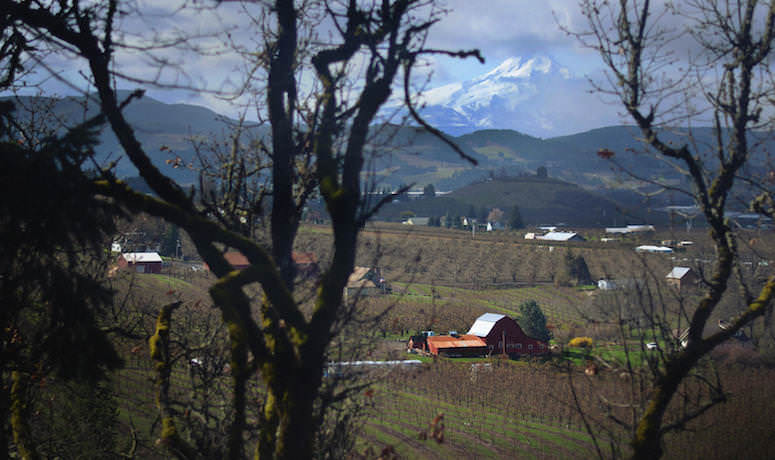 Get some different views on this loop from Hood River and back, a 59-mile route that gives you stunning views of Mount Hood while taking you through – and up above – bucolic orchards, red-barned farmlands, intense fire-blackened forests, and into hilltop scrub oak. You won’t find services on this route, so be prepared. Park near the China Grove Restaurant and take the Indian Creek Trail, bypassing any Hood River traffic. You’ll have to negotiate a little traffic heading out of town, but once you’ve turned onto Wyeast Road, you won’t see vehicles for a good long while. 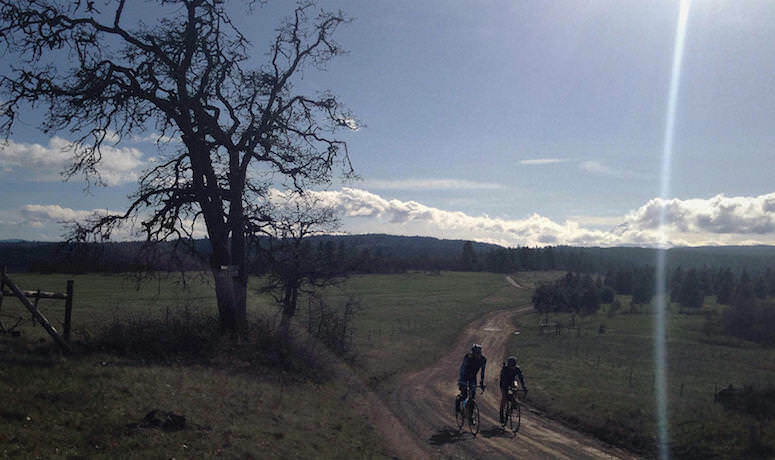 The route offers a varied menu of pavement, packed dirt and steep gravel climbing; you won’t get bored as you catch a whiff of pear blossoms or just inhale the clean scent of fresh air and fir trees. When you descend from Gilhouley Road to Highway 35, you can cut out and head for town if you’ve had enough riding. If you’re up for more fun – and more photos to prove what a blast you had – cross the highway for the gradual paved climb up Surveyor’s Ridge Road. 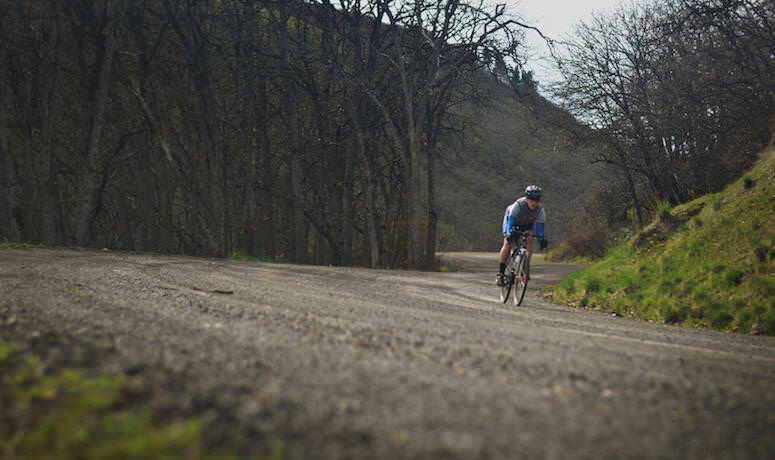 After a turn onto gravel, it’s time to test your bike-handling skills on a few miles of rough, rocky path and potholes as you pass through gates and intersections. 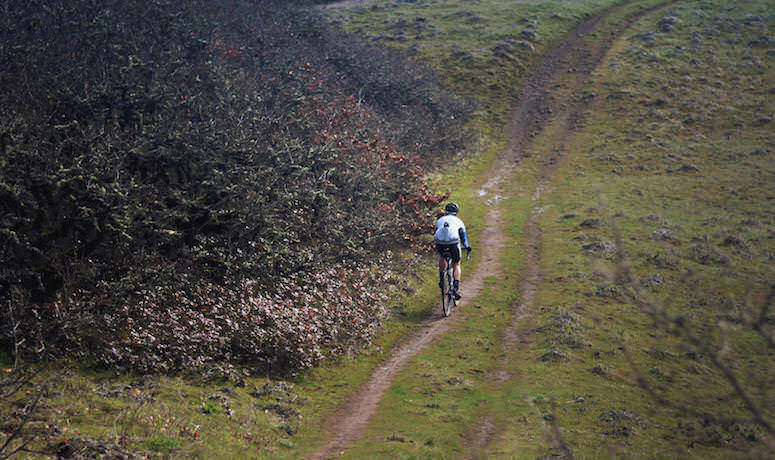 When it’s time to come back down form your mountain high, get ready for a rugged 12-mile ride down into the valley. Did we mention the views? From this direction you look out over a patchwork of fertile orchards and farm fields, down to the mighty Columbia River (can you spot any windsurfers from here?) and over into Washington. Guess what – you get a snow-capped mountain view both ways on this ride. 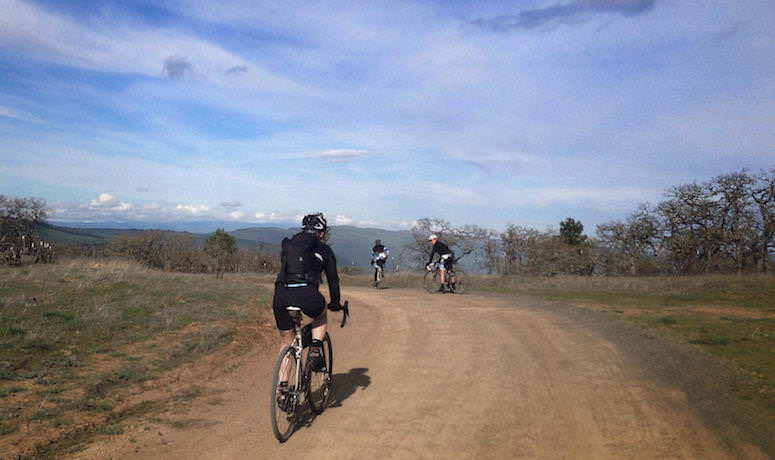 If you’ve had enough challenge and beauty for one ride, you get the choice again to opt out, at the intersection of Digger and Carroll – hop onto Carroll to avoid more gravel climbing by using the Mosier Tunnels bike path. Or continue up Old Dalles for additional farmland views before coasting back to Hood River, fully understanding why so many people come here and want to stay.